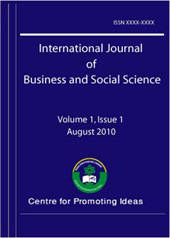 The aim of the study was to investigate the role of entrepreneurship on the socioeconomic development of rural women. This study was underpinned by a critical discourse analysis theory in which the researchers expressed their comments or judgments based on written or spoken communications, discussions or conversations with rural women. Thus, critical discourse analysis was considered an appropriate framework to engage and converse about the research problem and questions of this study. Qualitative research assisted the researcher to analyse the role of entrepreneurship on the socio-economic development of rural women. This study was underpinned by a critical discourse analysis theory in which the researchers expressed their comments or judgements based on written or spoken communications, discussions or conversations with rural women. In this study qualitative data was gathered using open ended interviews. Data analysis and interpretation involved the analysis and interpretation of documents related to assessment policies. Data were analysed by selecting, comparing, synthesising and interpreting information to provide explanation. Education is the backbone to the emancipation of rural women entrepreneurs, and opportunities for rural women are too few and far between to have much impact. The level of education usually determines the rate and extend to which individuals can assimilate the different concepts and apply them. Respondents seemed to be in agreement about the importance of Skills Development in enhancing business performance to enable them to successfully fulfill their business management responsibilities within their communities. This study recommends further research on the challenges of women development particularly of those in the rural areas.